If there are any errors when trying to register your ESNcard.org and Ryanair accounts, please follow the tips from our Ryanair problem resolution page. No. The offer is only available for 8 single flights (or 4 return flights), booked at least 28 days before the date of the flight and being this within the 1st of September and the 15th of June. If you do not see this notification, please remove your ESNcard data from the registration form and submit it again. I can not validate my Ryanair profile, what can I do? Ryanair validates the information you submitted on your ESNcard.org user profile, so the same exact same information should be submitted in your Ryanair profile to make sure the system recognises it as "correct". Explanation: You have properly registered your ESNcard with all the personal information submitted. When you try to validate the information with Ryanair, you see the following message: "The ESN validation system is validating your information" (or similar); but it never finishes the validation process and gets stuck in that message. Cause: You tried to validate the user details during a moment in which the system was not working properly, hence, even when the system is fixed, the validation gets stuck. Solution: Please remove your details from the Ryanair profile and add them back so that the validation is refreshed and added back to the validation queue. If the issue persists after 24h, please contact [email protected] and we will look at the case individually. Explanation: After submitting the details in your Ryanair profile, you get the following message: "The details you have submitted have been rejected by ESN's validation system" (or similar). This means that one, more or all of the information fields submitted by you do not match the information in your ESNcard.org profile. Cause 1: You haven't created a profile on ESNcard.org. Solution 1: Please register at ESNcard.org/register and carefully follow all the steps listed on ESNcard.org/ryanair-faq. Cause 2: The user has its profile but has not submitted all the profile information on ESNcard.org - specially: First Name, Last Name, Date of Birth, Nationality, Home University, ESNcard number (code all together in myRyanair, i.e. no white spaces). Solution 2: Please fill in all the correct information in your ESNcard.org profile and then try again to validate it in Ryanair. Cause 3: You have submitted all your information properly in your ESNcard.org profile, but failed to submit exactly the same information in your Ryanair profile. Even a blank space at the end of a name, or similar small details, might affect the validation process. If you still experience issues with the validation, please contact [email protected] and, again, we will look at the case individually. 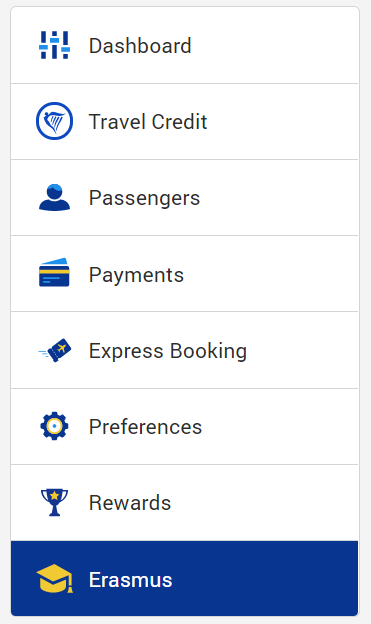 Note: every time that something is changed in your ESNcard.org profile, in order to fix the validation issues, please remove that information in your Ryanair profile and add it back, so that the system refreshes the information that needs to be validated.